Cannot be Normal Summoned, unless you control a "Ghostrick" monster. Once per turn: You can change this card to face-down Defense Position. Once per turn, during your Main Phase 1: You can target 1 "G.. When your opponent activates a Normal Trap Card in response to your monster's attack declaration targeting an opponent's monster: You can discard this card; negate the activation, and if you do, destr.. When a "Malicevorous" monster with a different name is Normal or Special Summoned to your side of the field (except during the Damage Step): You can target 1 Level 2 Fiend-Type monster in your Graveya.. If this card is sent from the field to the Graveyard: You can target 1 Continuous Spell Card in your Graveyard; Set that target. That Set card cannot be activated this turn. You can only use the effec.. When this card is Normal Summoned: You can target 1 Level 4 DARK monster in your Graveyard with 0 ATK and/or DEF, except "Secret Sect Druid Dru"; Special Summon that target in face-up Defense Position.. Cannot be Normal Summoned/Set. Must be Special Summoned by a Dragon-Type Xyz Monster's effect in your possession, and cannot be Special Summoned by other ways. When Special Summoned, if your Life Poin.. When this card is Normal Summoned: You can Special Summon 1 Level 2 Beast-Type monster from your Deck in face-down Defense Position, except "Baby Raccoon Ponpoko". You cannot Special Summon any monste.. Cannot be Normal Summoned, unless you control a "Ghostrick" monster. Once per turn: You can change this card to face-down Defense Position. When an opponent's monster declares a direct attack, or when.. Cannot be Normal Summoned, unless you control a "Ghostrick" monster. Once per turn: You can change this card to face-down Defense Position. When a "Ghostrick" monster is destroyed by an opponent's car.. Cannot be Normal Summoned, unless you control a "Ghostrick" monster. Once per turn: You can change this card to face-down Defense Position. Once per turn: You can target 1 face-up monster your opponen.. Cannot be Normal Summoned, unless you control a "Ghostrick" monster. Once per turn: You can change this card to face-down Defense Position. When this card is destroyed by battle and sent to the Gravey.. Cannot be Normal Summoned, unless you control a "Ghostrick" monster. Once per turn: You can change this card to face-down Defense Position. When this card is flipped face-up: You can add from your Dec.. Cannot be Normal Summoned, unless you control a "Ghostrick" monster. Once per turn: You can change this card to face-down Defense Position. When this card inflicts battle damage to your opponent: You .. When a Beast-Warrior-Type "Bujin" monster you control is destroyed by battle or by card effect and sent to the Graveyard: You can Special Summon this card from your hand. Once per turn, during the End.. When a Beast-Warrior-Type "Bujin" monster you control is targeted for an attack by an opponent's monster: You can send this card from your hand to the Graveyard; negate the attack, and if you do, infl..
During your Main Phase 1: You can send this card from your hand to the Graveyard, then target 1 "Bujin" monster you control; this turn, if it attacks a Defense Position monster, inflict piercing battl.. If you control a "Bujin" monster: You can banish this card from your Graveyard, then target 1 face-up Attack Position monster your opponent controls; change it to face-up Defense Position, and if you .. If you control a "Bujin" Beast-Warrior-Type monster: You can banish this card from your Graveyard, then target 1 Spell/Trap Card your opponent controls; destroy that target. You can only use the effec.. This card cannot attack your opponent directly. 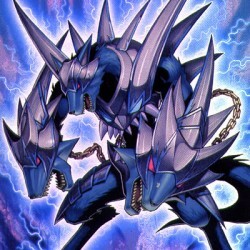 If you have a monster in your Graveyard that is not a "Mecha Phantom Beast" monster, this card cannot attack. This card's Level is increased by the tota..